It was the last real day of our roadtrip before driving through Utah and returning home. 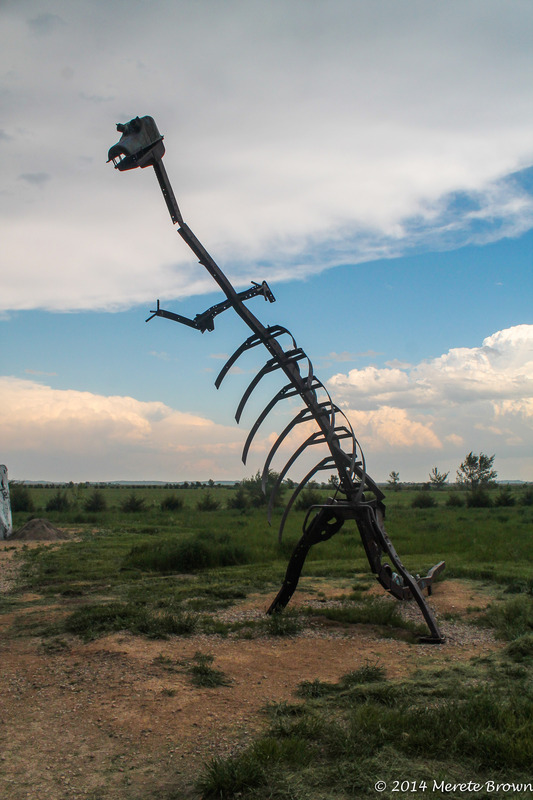 As we drove across Nebraska towards Cheyenne, WY, there were only a few stops left on our itinerary. We barreled across the state as storm clouds rolled in around us. We stopped off to grab McDonald’s while quickly checking the weather reports. Tornado warnings were popping up all over the state, and the wind was not letting up. 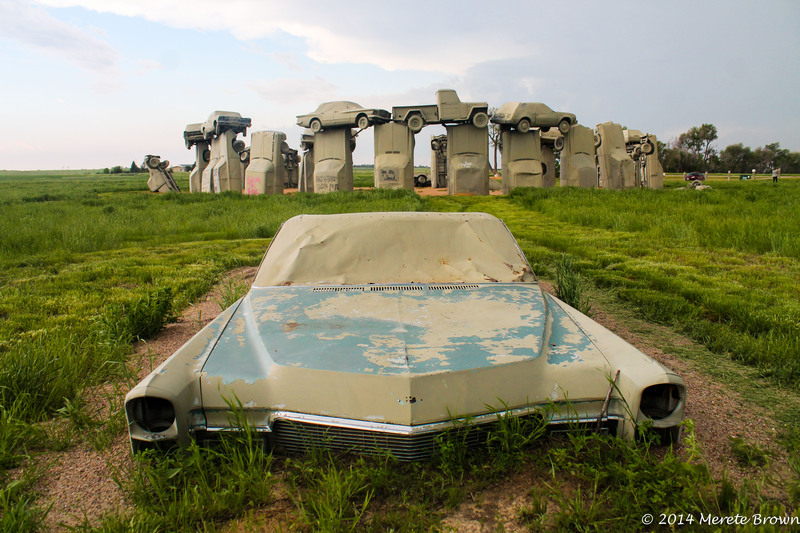 But we kept on treking towards Carhenge, a replica of England’s Stonehedge, made up of rescued cars from nearby farms and dumps, located in Alliance, NE. 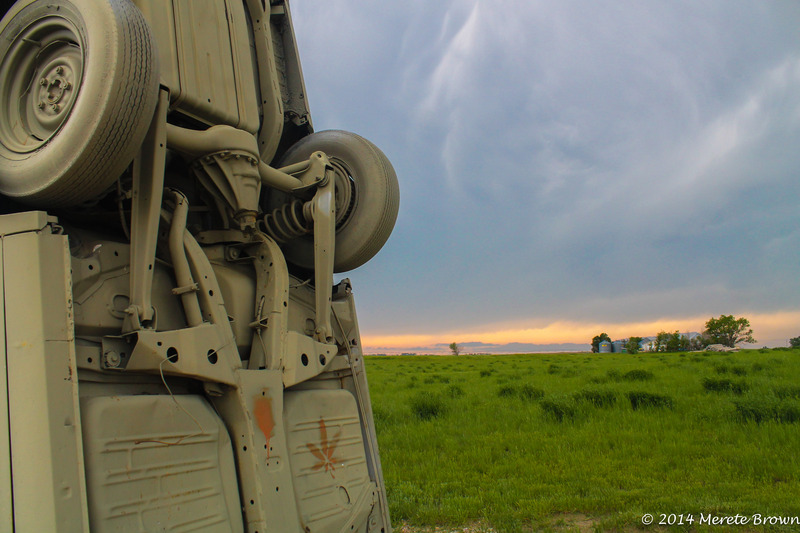 As we drove through the rolling farmland, hail and rain started to plummet our car, until we could no longer see but a few feet in front of us. Pop, pop, pop – the sound of the hail striking the car roof. A part of me hoped for a recreation of the 1996 movie Twister, but I knew that would be ill advised. 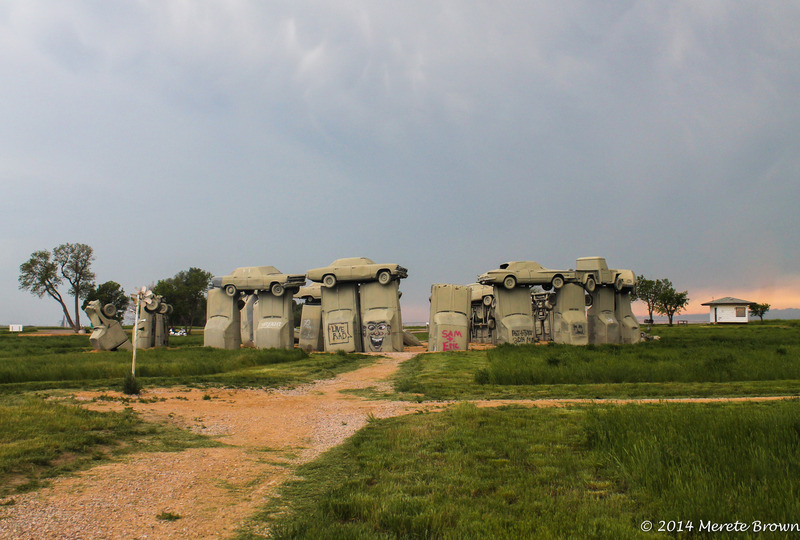 After slowly traversing through the storm, we made it to Carhenge, as yet another tornado warning alerted the county. 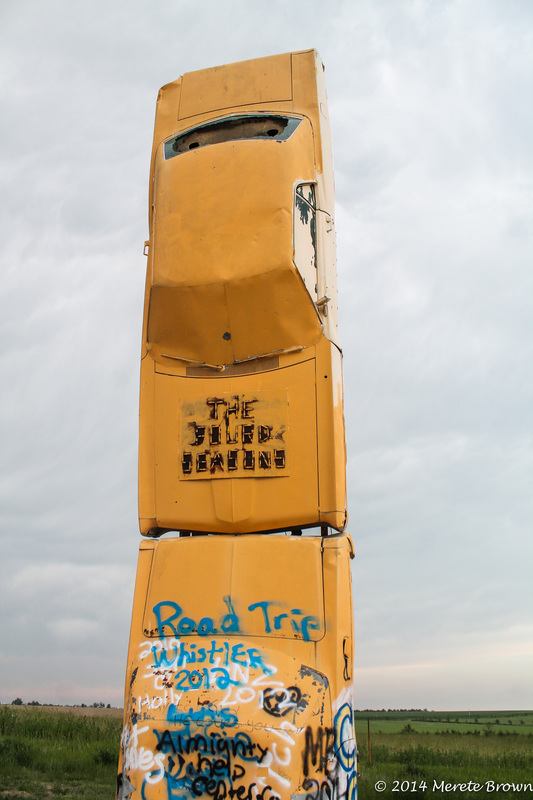 At times bright blue and other times vibrant orange, the sky served as a dramatic backdrop to the gray painted cars erected out of the ground. 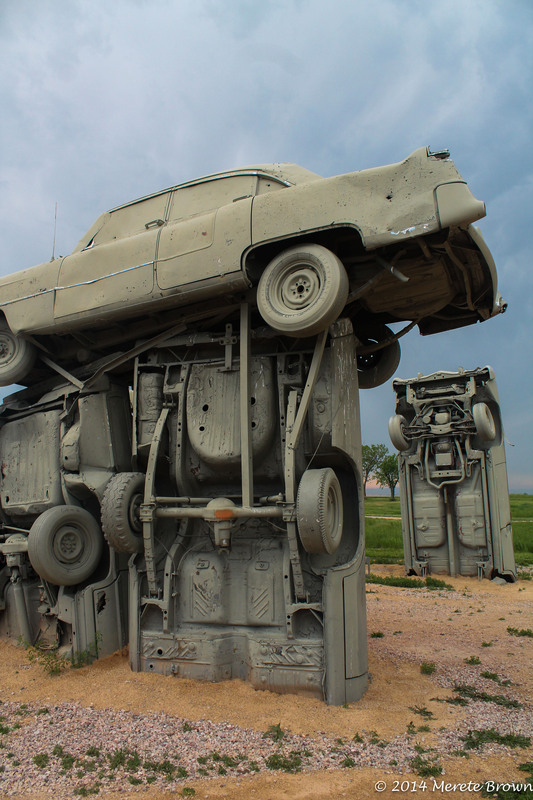 Other scupltures popped up randomly around the cars. 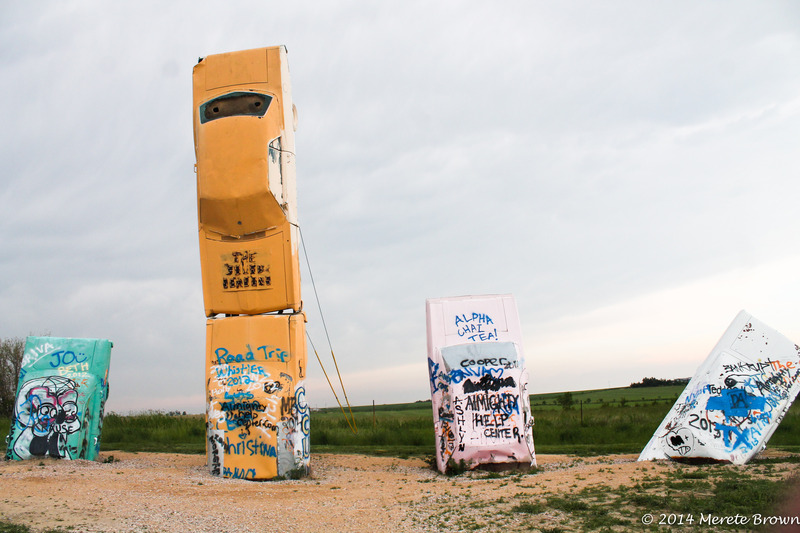 We explored the roadside attraction and hopped back into the car just as the lightening began to strike. 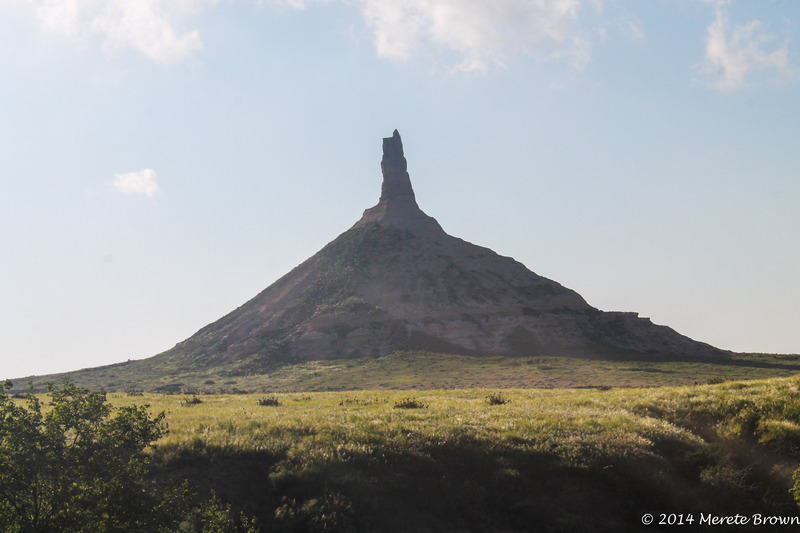 We kept driving until we reached Chimney Rock, a long standing landmark for pioneers passing on the Oregon, California and Morman trails. 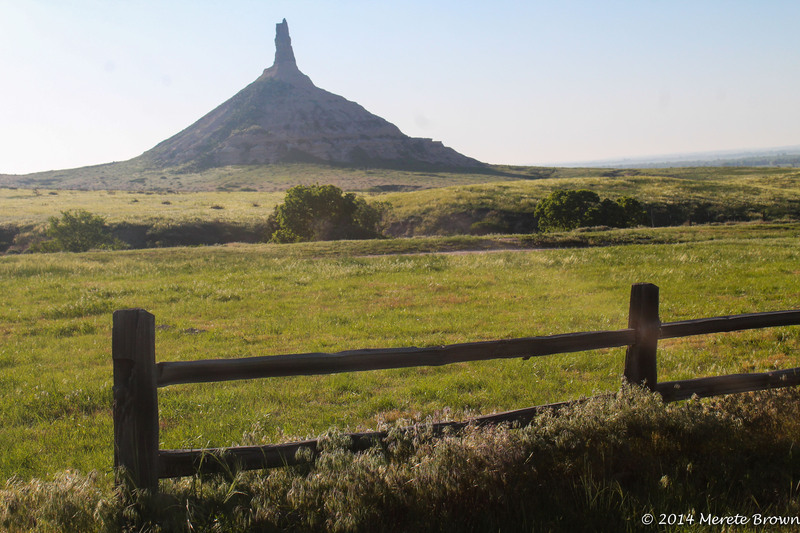 Chimney rock now serves as a symbol of westward explansion and a reminder of the country’s humble past. Once we reached the rock, the sky had completely cleared. Although we could only see the landmark from afar, it stood as a beacon of light in the sun’s reflection against the light blue sky. 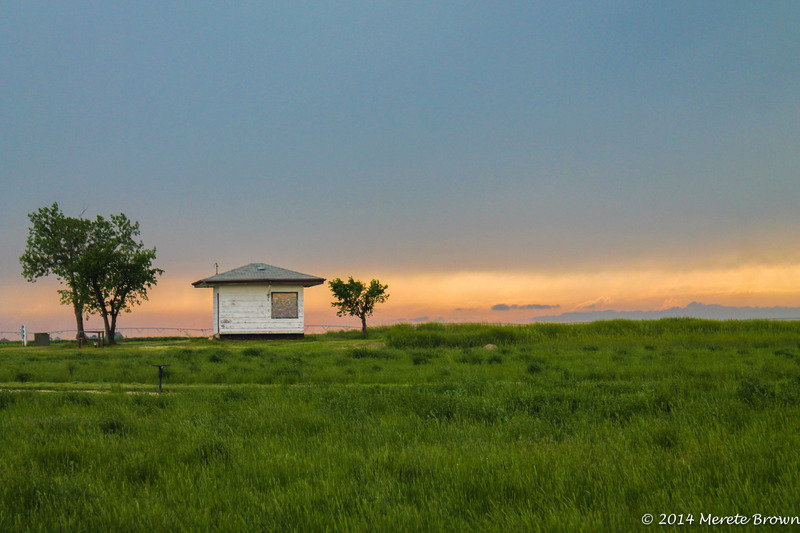 After exploring the area for a short moment, we headed towards Cheyenne, as the sun dropped further in the sky. 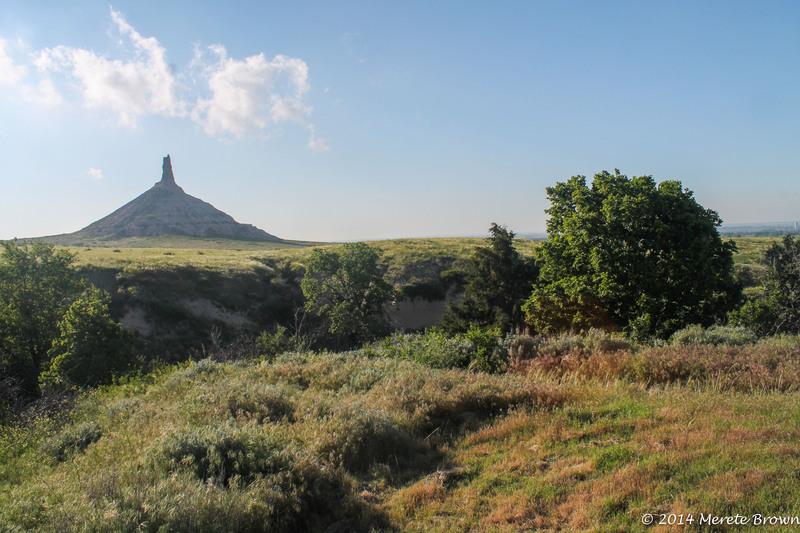 A somber realization hit as we sped across the wild and open land of Nebraska and Wyoming. 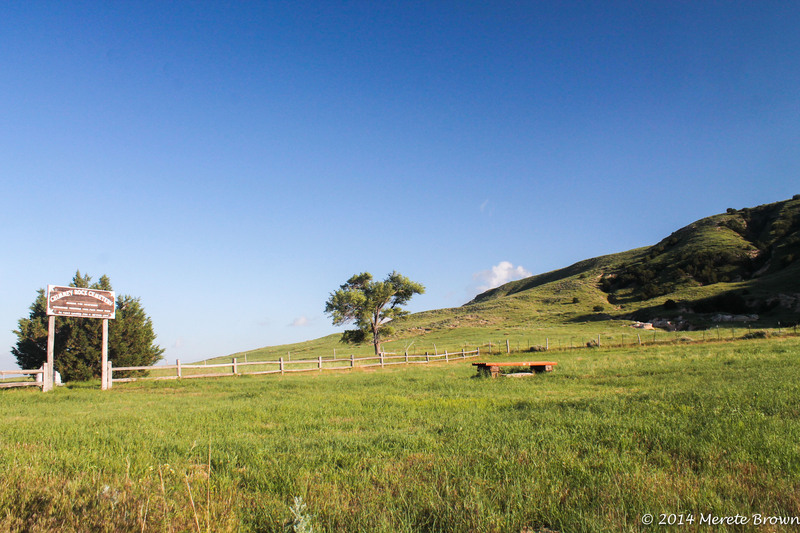 Our own adventure and modern-day exploration of the west had virtually come to an end. There was no new territory to explore, no new sights to lay our eyes on. We were returning to the familiar region we all called home. 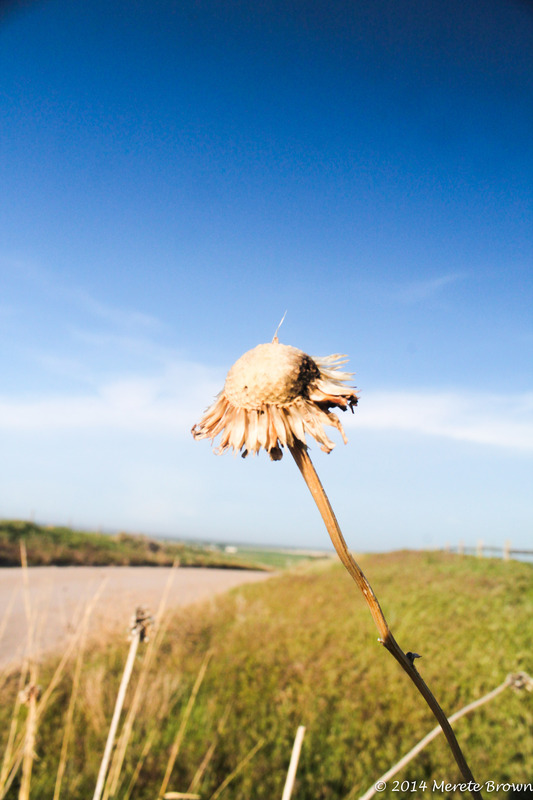 Knowing that the roadtrip could not last forever, it was time to face the enviable. 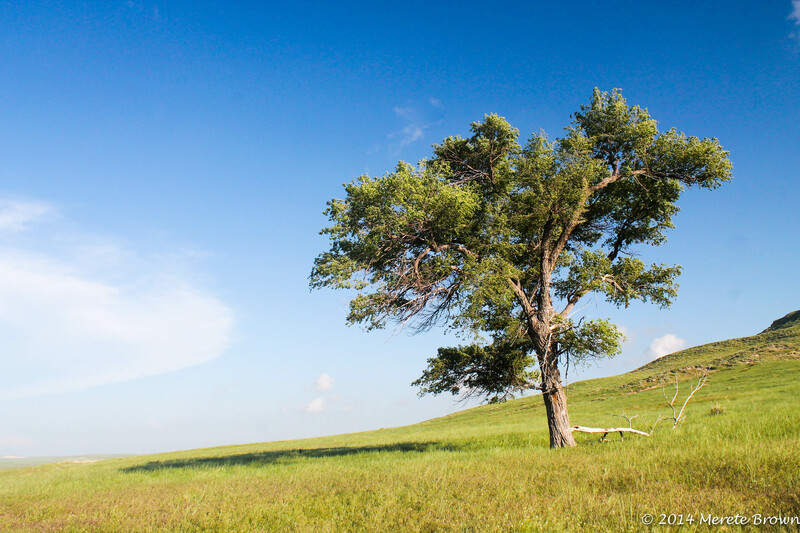 But I did have one source of comfort to combat my perpetual case of wanderlust – I was returning home with a better understanding of the great terrain that makes up our beautiful country. Would my other travel mates and I ever have a similar roadtrip experience in the future? Certainly not. But the adventure would undoubtedly stick with us for a long, long time.